Where scents & scene meet. Beautiful botanical diffusers. 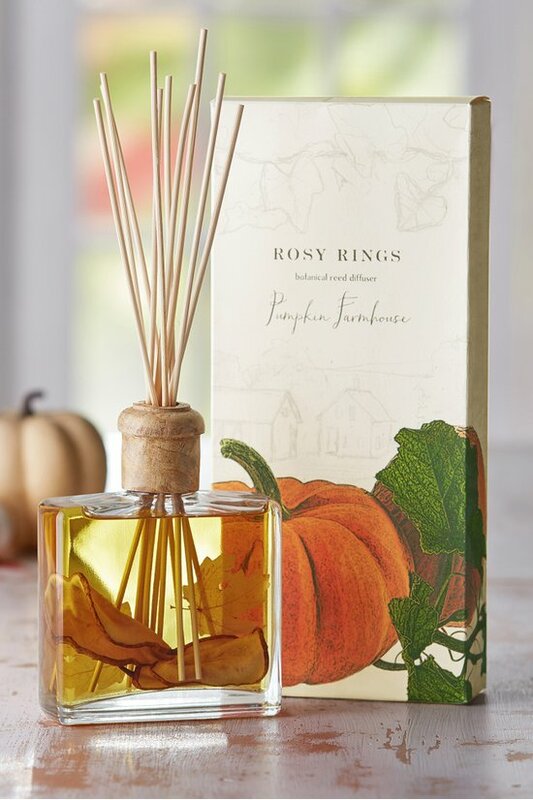 With real fruit, spices and delicate botanicals painstakingly placed by hand, these wonderful, glass bottle reed diffusers are as visually stunning as they are lovely scenting your home. In four gorgeous scents to match your season or your mood, the alcohol-free, fragrance oil blend lasts a full 9-12 months. Sealed with a decorative wooden cap. Remove cap fron top of bottle. Place the collar on the top of bottle. place all reeds inside of the bottle to absorb oil. Please allow 24-36 hours for the fragrance to diffuse. To refresh, rotate reeds as needed.